Rogers Brubaker is Professor of Sociology and UCLA Foundation Chair at the University of California, Los Angeles. Brubaker has written widely on social theory, immigration, citizenship, nationalism, and ethnicity. His first book explored the idea of rationality in the work of Max Weber, while his essays on Pierre Bourdieu helped introduce Bourdieu to an English-speaking audience. His next two books analyzed European nationalism in historical and comparative perspective. Citizenship and Nationhood in France and Germany (1992) sought to explain the sharply differing ways in which citizenship has been defined vis-à-vis immigrants in France and Germany and helped establish what has since become a flourishing field of citizenship studies; Nationalism Reframed: Nationhood and the National Question in the New Europe (1996) compared contemporary East European nationalisms with those of the interwar period, both emerging after the breakup of multinational states into would-be nation-states. Subsequently, in a series of analytical essays, many of them collected in Ethnicity without Groups (2004), Brubaker has critically engaged prevailing analytical stances in the study of ethnicity, race, and nationalism and sought to develop alternative analytical resources. These informed his collaborative book Nationalist Politics and Everyday Ethnicity in a Transylvanian Town (2006), which examined the everyday workings of ethnicity in a setting of highly charged ethnonational conflict. Brubaker’s most recent books taken him in new directions. Grounds for Difference (2015) emerged from three new lines of work, engaging three increasingly salient contexts for the contemporary politics of difference: the return of inequality, the return of biology, and the return of the sacred. The introduction can be read here. Trans: Gender and Race in an Age of Unsettled Identities (2016) was prompted by the pairing of “transgender” and “transracial” in debates about whether Caitlyn Jenner could legitimately identify as a woman and Rachel Dolezal as black. The introduction can be read here. 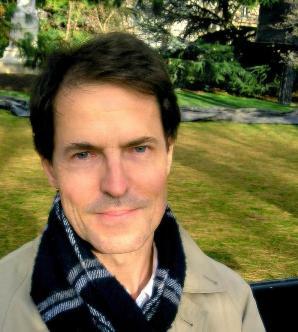 Brubaker has taught at UCLA since 1991. Before coming to UCLA, he was a Junior Fellow in the Society of Fellows of Harvard University (1988-1991). He has been awarded a MacArthur Fellowship (1994-99), a Presidential Young Investigator Award from the National Science Foundation (1994-99), and Fellowships from the Center for Advanced Study in the Behavioral Sciences (1995-96), the John Simon Guggenheim Memorial Foundation (1999-2000), and the Wissenschaftskolleg of Berlin (2016-2017). He was elected to the American Academy of Arts and Sciences in 2009.